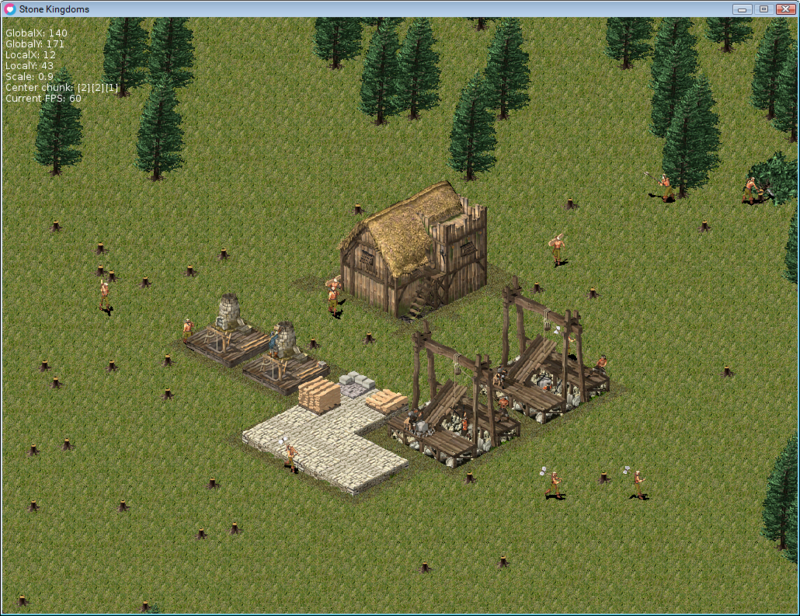 An RTS game made with LÖVE based on Firefly Studios' Stronghold. Assets are property of Firefly Studios. The game is optimized to run on low end PC's and laptops. It uses ~500 MB of memory. The default resolution is 1024x768 (windowed). It's got no GUI as of 0.1, it is however planned for 0.3. Q - Main town building, no functionality. W - Stockpile, needs to be placed next to a stockpile (if there is one). Woodcutters will only chop wood at the adjacent chunks of the stockpile. If there are no trees there, they will clump near the stockpile. Last edited by KayleMaster on Tue May 29, 2018 9:58 am, edited 2 times in total. I posted this topic earlier than I wanted, but there's a reason for it. It's the end of the semester and I need to start job hunting, and I want to put this project on my CV, so that's one of the major reasons. That being said because it's the end of the semester, the finals are starting and I need to focus on studying instead of developing the game. So pretty much for the next month, you won't see much progress being made. After that, it depends if I get a job or not. I'm not sure how much time I'll be able to put if I do, but I'll post an update here. So if I do get the time, what would I be working on? 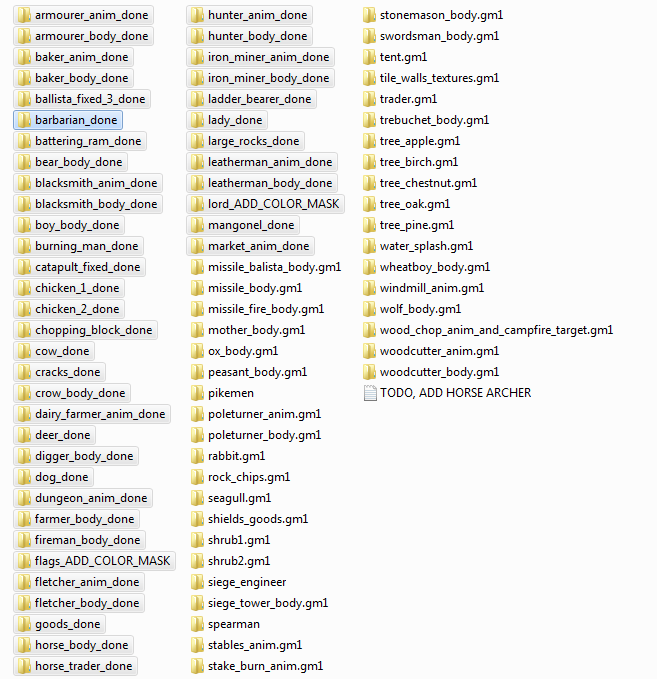 Well, I'm working on extracting Stronghold's art and fitting it in a single 8k texture page. This is pretty much done. There are about 18000 sprites so it takes some time. Military units will need to be color masked which takes a little bit of time. After that the animations will need to be made from the sprites' frames, this is easy but slightly tedious. Last edited by KayleMaster on Tue May 29, 2018 9:57 am, edited 3 times in total. 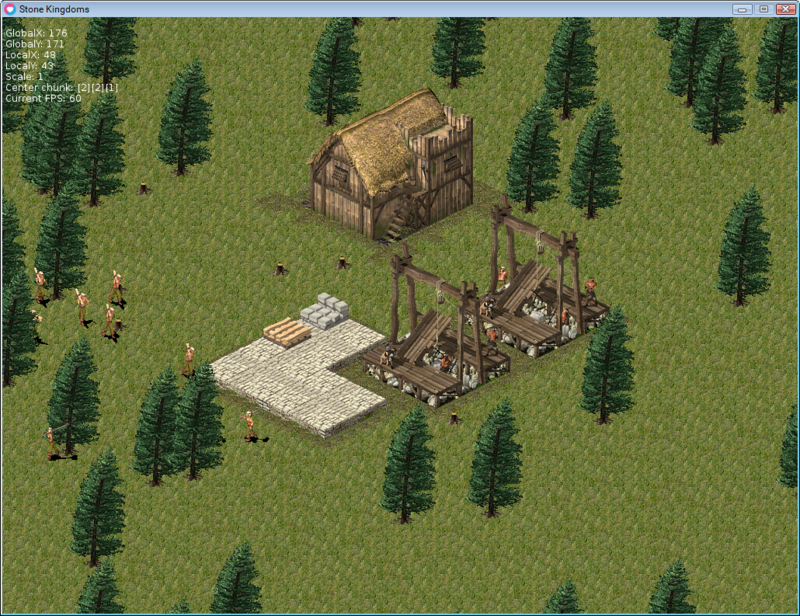 Thanks, gameplay elements are not yet implemented but there will be a focus on Grand Strategy as well. Really happy to see that you're still working on this! It's looking real good. Please don't tell me you do anything at a scale of 18000 files in an even remotely manual way? Write small tools/scripts/batchfiles to convert/pack/generate textures, uvs, create animtables and save them as lua files you can directly require and use in your game etc. etc. I use TexturePacker to pack the files in an atlas, it seems the only one capable of packing them and not crash whilst doing it. I used mogrify to batch crop every sprite and eventually to generate the color masks. And for the naming I just use windows' batch rename, works wonders once you get used to the hotkeys. The process itself would take less than a day, but because lack of time lately, I've been chipping away at 30 mins a day whenever I feel like it, which usually isn't often. The files are more like 9000 because the extracting tool generates copies of each sprite, but I remove those with bash as well. After that I'd need to write a tool to map the animations, that would be pretty straight forward. So I've hit a few roadblocks with the assets, one of them being some assets' frames are missing color or have improper one, mostly military units. To fix this I have to extract the assets via a very tedious method. So far I've extracted 1/12. Last edited by KayleMaster on Wed Jul 04, 2018 6:02 am, edited 1 time in total. I absolutely love the aesthetics. That may sound like sarcasm but really they remind me of a lot of strategy games from my childhood.